Build, upgrade, conquer, subjugate, dominate! Become the real Lord of this land! "Clash of Castles" is a fascinating strategic game. At the start of the game you will have a small castle and a tiny army at your disposal. Upgrade your castle, gather a huge army and wipe the opponent out of your land. Subjugate all nearby lands, create a base in an unapproachable Fort, use ancient knowledge of Academy, receive control over Gold mine, build the real fortress and DOMINATE! The opponent is strong and crafty, but powerful spells of magicians guild will help to turn a battle to your favor. Send the Pestilence, cause the Armageddon, in this war all means are good. Already subjugated all the lands? Even the Dark Lord kneeled before you? The history isn't over yet! Challenge your friends and battle in the multiplayer rating fights! Enter the name in the leaderboard and tell about your success to the whole world through Facebook and Twitter. Get more than 30 different achievements and receive a royal title! 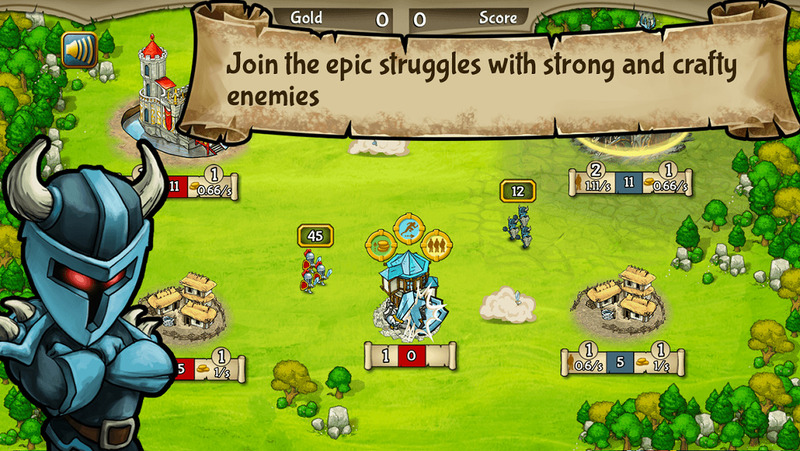 "Clash of Castles" in App Store is absolutely free! Friendly interface, professional graphics and animation, interesting plot will dip you into the atmosphere of fascinating battles and will bring you hours of addictive gameplay! What are you waiting for? Time to fight! Now this game is free!! !